We have partnered with iGrad to offer an award-winning Financial Literacy platform that equips students with the tools needed to succeed in the real world of personal finance. 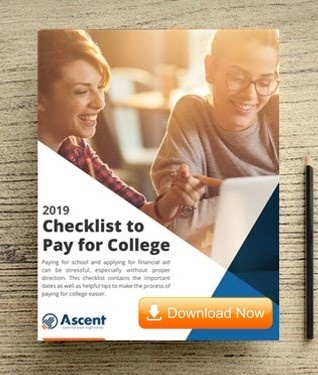 This basic guide covers the financial literacy concepts you’ll need to understand when you take out your Ascent student loan. Becoming familiar with certain fundamental principles will make you better equipped to handle repayment and loan management throughout the life of your student loan, and will also empower you with the knowledge to create a stronger financial future. After submitting your application, you will have access to your Ascent Financial Literacy Course. This course is designed to help you understand your student loan(s), from the application process all the way through to repayment. It will also explain how your loan(s) can affect credit, debt, plans for the future, and your financial health overall.